I’ve missed a few Q&A information in the last two weeks, but it’s a lot of information that is out there already, so I’ll just keep going from the latest Q&A shared. Thanks to godzilla5549 on Reddit for sharing this and if you want the official source, just visit this link on the official forum. Q: Is there an internal focus on making Aircraft Carriers more into a “support” class? I know from previous responses that you (WG St.Petersburg) intend to make the Air Superiority load outs more popular as a means to “support” or “help” the team and defend from other Aircraft Carrier attacks. My problem with this is that currently Air Superiority carriers do not really do much for the team, and I can easily play a Strike (no fighters) carrier and have much more effect on the battle. An Air Superiority carrier cannot defend from my attacks, and as such, does not really “help” the team at all. I much prefer to be dealing direct damage, as I have a much greater influence on the outcome of a battle and can provide support to the team by taking out high valued targets. I also would like to note that I would take no issue with Air Superiority carriers if fighter combat was changed so that the problem of “fighter locking” was dealt with. Currently, fighter combat is far too simplistic and an Air Superiority carrier does not have to have the same skill level (at least in my own opinion) as a carrier that focuses on striking enemy surface ships. An Air Superiority carrier just has to have his fighters engage your planes by fighter locking and does not really have to do much else. A: Hi. We are not going to remove damage/strike role, it is more a question of choice and opportunities to play differently and be rewarded for that. Overall, CVs need some re-work not even in terms of balance, but in terms of learning curve, UI and overall handling. We do realize that, but won’t be able to do much in the nearest versions. However, CV gameplay may be improved and diversified in some time. Q: What do you think of the lack of any real defence against CV-sniping for low-level CVs? A: We believe this to be a problem. We have a possible solution, and it is being approved internally. If everything’s fine, it may be implemented in several versions. Q: can you go into more detail on how AA works? how often does each “aura” check to shoot down a plane? (once per second at listed DPS values, twice per second at 1/2 listed DPS values, etc?)? how does ship survivability relate to skill ceiling and floor in the balance statistics? I’ve always thought that ships like DD’s will have lower averages because unskilled players will die early in them, and skilled players who know how to use the ships do far better than the averages (even more so than in many other classes), and I’m wondering how true this is. in terms of high tier CV balance, does Essex/Midway actually compete with Taihou/Hakuryu on NA? I’ve seen how they are competitive on RU due to the meta there, but I’m wondering how the stats compare to the self-selected samples of the 3rd party tracking sites, especially with player opinion slanted towards the IJN CV’s. A: Once per “tick” which is currently around 2 seconds. Uh…let me explain how “ticks” work. We determine current probability of plane destruction. Current average plane lifetime is determined as base average lifetime divided by current aura efficiency. Maximum ticks ? is determined with taking into account the destruction time of previous plane by the same aura. This is needed to balance overall squadron destruction time while keeping plane destruction not so strict and unrealistically ordered. Plane destruction probability for current tick (V) is V=100/T9100%/current ticks remaining). Additionally, we reduce the number of extremely fast or slow plane destruction cases by using normal distribution when calculating “destruction plan”. Of course the more you live (while playing actively) the more you contribute to the team-play. It is true. That said, sometimes a glorious sacrifice is needed. They do compete, but the balance is not ideal. The question of “local meta” is very interesting, though. We can’t support 4 different games for NA, EU, RU and ASIA. But we constantly have to consider all peculiarities we have on these servers. Q: What do you do at WG? Like are you a balance guy, or a camo guy, or a coordinator, or a marketing engineer? A: Currently I work as game analytics team lead. The job is to evaluate the game (from the perspective of actively playing community), using my own resources, statistics, surveys (together with other analytical teams). To help the developers in decision-making and prioritizing, gathering data and pros/cons for them. However, there’s also reverse direction – communicating with players to explain the game and the changes we make, so I work on forums and help Dasha with her scripts for videos. Previously I was organizing our supertest and at the very beginning I helped with alpha test and worked as community manager. Q: This has been asked before I know. This specifically relates to high tiers. Many players blame the Eco for the passive gameplay, yet your dev decisions indicate a separate conclusion. Could you inform us of this conclusion and how you got there? And also, some of the more fleshed out ideas you may have to fix it? A: This issue is being discussed internally now. The economy was designed so it is adequate with premium account on any tier. However, there are some problems, including excessive (in terms of economy) use of advanced consumables and some other factors that make high-tier economy quite hard. And for sure it affects gameplay. There are changes to economy coming in 0.5.12, and there may be more changes later. Q: Can you tell us if there are any plans for a higher tier IJN premium BB in the future? I love IJN BBs, but with the only premium being in the “slow as mud” tier, I don’t have an IJN premium BB that I enjoy grinding with. T7 or T8 would be ideal. A: There are certain plans to fill this niche with a solid premium ship, but I can’t tell you any details yet. Sorry. can you explain how the firing range is determined? Looking at some numbers I suspected a factor like 60% something which works for some. On the other hand there is this rumour that the height of the range finder is key? Plus, aren’t the ships twice the size compared to real life? What is the “true” range than and how do you get to it? did you ever considered and tested manual secondary? I know that the current meta is balanced mostly around primary artillery and torpedoes. But what was the reason to dismiss manual control in the first place and balance around that concept? the game very WW2 heavy, however modern warship battles started a lot earlier. Considering that the big battleship vs battleship clashes happened actually in the dreadnought era – is there any hope we will see more of this stuff? WG. Dreadnought Battleships, armoured cruisers, etc? A: Hello. Of course I don’t mind. Ship size is determined in “ship meters” and ballistics is determined in “artillery meters” (you see them in combat UI). 1 ship meter = 2 artillery meters, so ships are twice the size relative to in-game ranges. Ballistic trajectories are made very close to historical ones, but they are lowered visually so that the player has more control and understanding when firing. Ship, torpedo and plane speed values are increased 5,22 times relative to artillery meters. Shell velocities are increased 2,61 times. This scaling is needed for proper gameplay speed and player perception. But let’s get to the point, maximum firing range in game is initially calculated as range where you can reliably see the target (and adjust your aim). Fire-control system position and quality is taken into account. But then balance tweaks may be applied, if needed. Very important thing to understand is that effective in game range will be shorter than maximum firing range IRL. E.g. Yamato technically has 42 km firing range, but in game it is 26,6 km. Because this is the range we calculate as “confident acquisition and tracking of average target”. This method is both logical and good for gameplay. Yes we did. It is too overwhelming and makes secondary too vital. We did not like it. We do like this early period you are talking about, but such ships are difficult to fit in current ship lines and gameplay. So we are not likely to expand main game period. Q: The one and only Q: When will CV rework happen? A: Sorry, I can’t give you any details yet. Q: You are telling us single-clicking to fire turret-by-turret instead of double-clicking to fire a salvo will not improve “density”. Can we safely infer then the variables, aka “dispersion parameters”, are determined once per complete fire/reload? Or every so many seconds? Or is it at the start of a match? If this is correct, then supposing I have four turrets and fire each one separately, would each turret have it’s own dispersion ellipsis built? Each turret could be firing at slightly different ranges, so that must be correct. A: Dispersion area parameters (horizontal and vertical dispersion) are determined each time you click “FIRE”. They, as I said, depend on firing range. No, turret-by-turret won’t help, because shells hit dispersion area at normal distribution. The quantity of shells and order in which you fire them do not affect this distribution. Q: Still working merrily away in the Montana armour thread (although there are several other ships mentioned there too, you might want to take a look), and there are a couple of things that have come up. The posts below that are spoiled refer to them — I’ve spoiled them because they’re quite long and I didn’t want to chew up the entire page with quotes. The first one has a planned picture of the armoured citadels of the Montana and the other USN fast battleship classes. It seems that the Montana’s citadel should be below the water, not above it (although there’s a whole other debate going on about the merits of high armoured freeboards and how these aren’t properly simulated in the game), Were you guys aware of this? The second spoiled thread post has to do with the Montana’s turret face armour. Did you know that the Montana is missing one hundred and fourteen millimetres of armour in that area? Are there any plans to address this? A: Hi. We will look into this post a bit later, and if there’s any action needed, we will take it. Thank you for bringing this! Q: Firstly, I’d like to take this opportunity to welcome you to World of Warships. I see from you’re profile that you’ve been a valued member since July, 2016. Secondly, warm greetings from the great city of Chicago, home of the cursed Chicago Cubs. My questions are, what are your thoughts regarding pVe, Its current state, and its future direction. Anything you can share would be appreciated. The last time we heard anything was from the marvellous Boyarsky back in January of this year. A: Hi. Thank you for your welcome. PvE is being upgraded and developed further. You will probably see first results in one of the following updates. 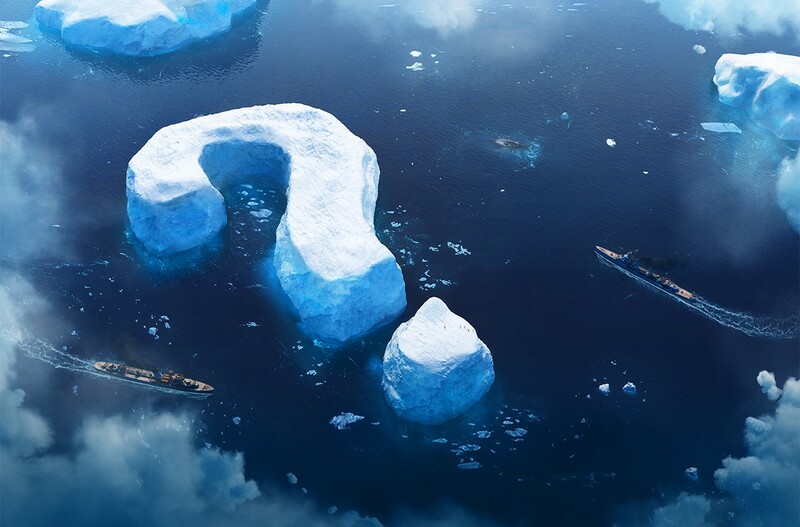 Our opinion that PvE in WoWs has potential hasn’t changed. Q: How does spotting mechanics works for aircraft? it seems like they can spot and be spotted through islands. What’s the detectability range by sea and air? is the same for all types of aircraft and nations? A: Hi. Aircraft spotting ignores terrain (but not smoke screen). So yes, they can spot and be spotted through islands. Detectability range is the same for all aircraft. I am not ready to disclose it now. I just want to know, how will the changes to high tier BB bow armour positively effect the game? From what i see, it’s just going to make people even more reluctant to push. Is there any plan to stop radar from going through solid land masses like it currently does? A: Our intent is to let BBs damage each other faster, and make this easier against camping targets. We hope that it will bring more brutality, more maneuver to the game. This is a short explanation, but I’ve been elaborating on this topic for a week, so, you can find more argument if you wish. However, this is an experimental change; we’ll see how it goes on public test. Any plans to change the invisible firing spam (found in competitive play a lot) where whole teams simply sit in smoke and spam HE at each other, very little moment is involved. (I think DDs are fine) but are there plans to only allow DDs to do this and not CAs or BBs? Are you guys currently happy with the German tier 10 BB performance or is there not enough data yet? If i understand correctly the new IJN DD line stops at tier 8 and doesn’t lead back into the main line, does this mean we could see more lines in the future without tier 10s? Or partial lines in general? German CVs are they a feasible line? Not enough data to be absolutely precise, but we can say for sure that main features of this line are working, and the line is quite successful. Everything is a feasible line, if you have enough motivation. But we would like to focus on other, less “paper” lines for now.